"an astronomical compendium, signed by Humfrey Cole, made in 1568 for the Elizabethan printer and publisher Richard Jugge. 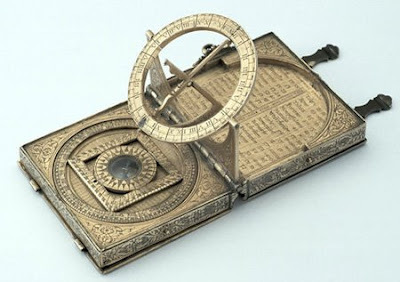 … The compendium includes a quadrant, room for drawing instruments, a compass, a universal equinoctial sundial, a table of latitudes of towns and an incomplete calendar." Great photo of astrobale by Garron Nicholls. 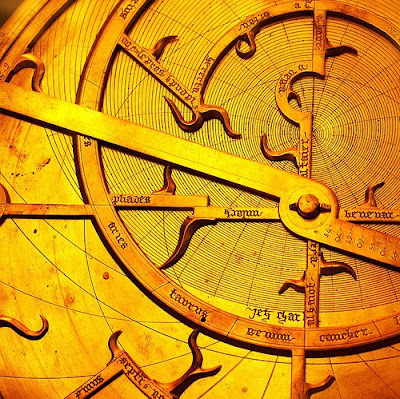 Good article about astrolabes on http://www.astrolabes.org/. 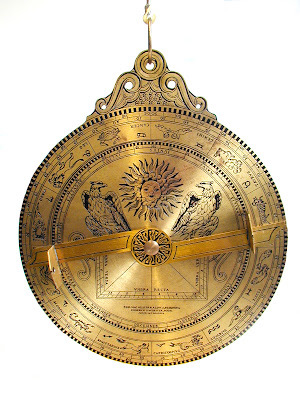 There is also a great website from the Museum of History at Oxford University which fully details the Museum's collection of ancient and antique astrolabes. ah I see someone beat me to the punch because I was going to point out MHS as one of my favorite sites. I sometimes do a search through that site for inspiration. It is really fantastic! I would love one day to create something like this. 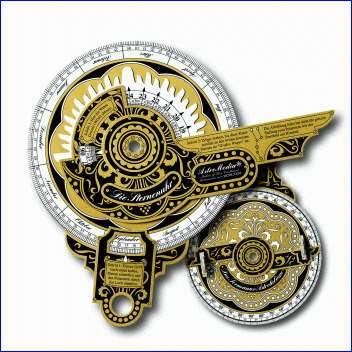 Love your site and was wondering if it's possible for you to send me the original website addresses for the astrolabe pics? I'm leaveing this as a comment because I can't seem to mail you. P.S. you might want to think about including addresses all the time for your readers who want to do further reserch. 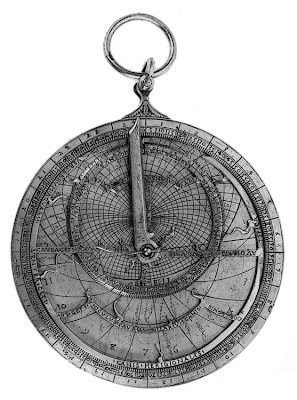 I tried to find more information about those astrolabes but unfortunetly I didn't found anything. Photos 4 are 5 are just found on Google Images, also without any descripton. When I am posting any photos on my blog I am trying to put as much info as possible (who made it, some info about inventor, website etc...), but unfortunetly it is not always possible that's why I hope that people who are reading my website maybe know something more about those projects and let me know so I can update it. I like the design of all of them. Just feels like being back in sherlock holmes times.